In general, words and phrases that have been purposely spelled incorrectly (usually as a means of kitschifying said word or term) earn a blanket boycott from me. I don’t care how good the pancakes at the Koffee Kart in Manhattan Beach happen to be. I refuse to step foot inside the place. There is one exception. Embarrassing as it is to admit (and it’s okay, you can laugh), in our household we call blueberries baluberries. After the Balu the cat. 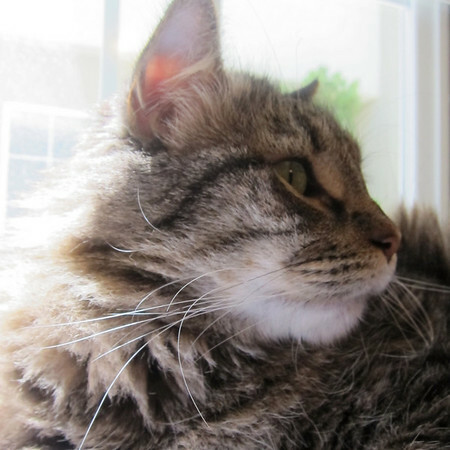 You know, the Kitchen God (who happens to be sitting in my lap as I type this post). I told you it was okay to laugh! Anyhow. I wait all year for baluberry season when they finally become inexpensive enough to cook with. And one of my favorite recipes using this delicious little berry is Martha Stewart’s blueberry recipe from her Baking Handbook. I know Martha’s recipes don’t always work. But trust me, this one does and with some minor adjustments here, I think I’ve made it perfect. Or, at the very least, baluberry worthy. 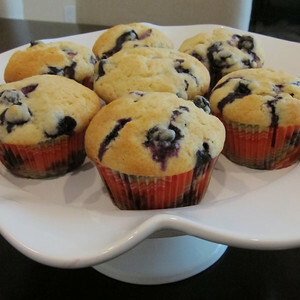 We start with a secret technique that will keep the berries from migrating to the bottom of the muffin tin. After you’ve washed and allowed the berries to dry, add them to a collander and dust a couple of teaspoons of flour over them shaking the sieve so that all the berries get an even coat. My twist on the recipe: buttermilk and lemon zest (and kitty whispers). 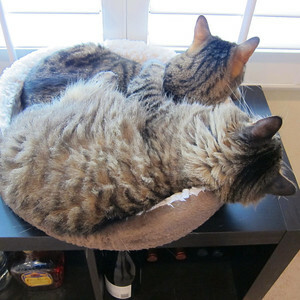 Once the muffins are in the oven, it’s nappy time. 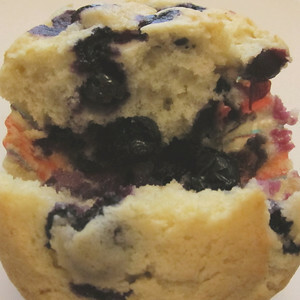 And it what seems like no-time, you’ve got a batch of pretty amazing baluberry muffins. See! Evenly distributed berries. Cool or what? No. I’m not serious about the kitty whispers. Come on! 8 TBS (1 stick) unsalted butter, room temp. Preheat oven to 375, place rack in center of oven. 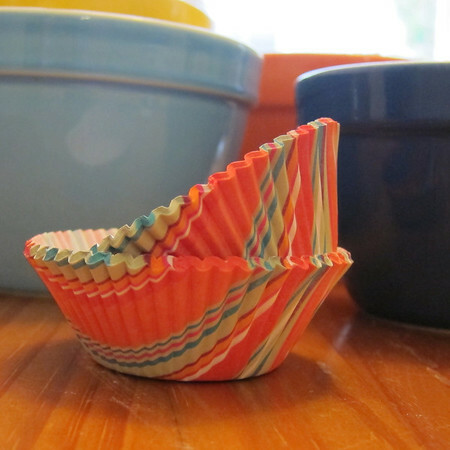 Either fill muffin pan with liners or butter and flour each muffin mold. Whisk together flour, baking powder and salt. 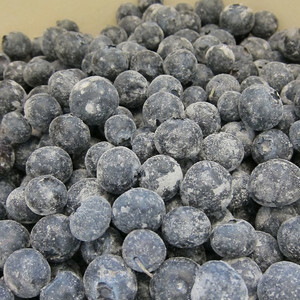 Working over the bowl with a sieve or collander, toss the blueberries with 1 1/2 tsp flour. Set blueberries aside in a separate bowl. 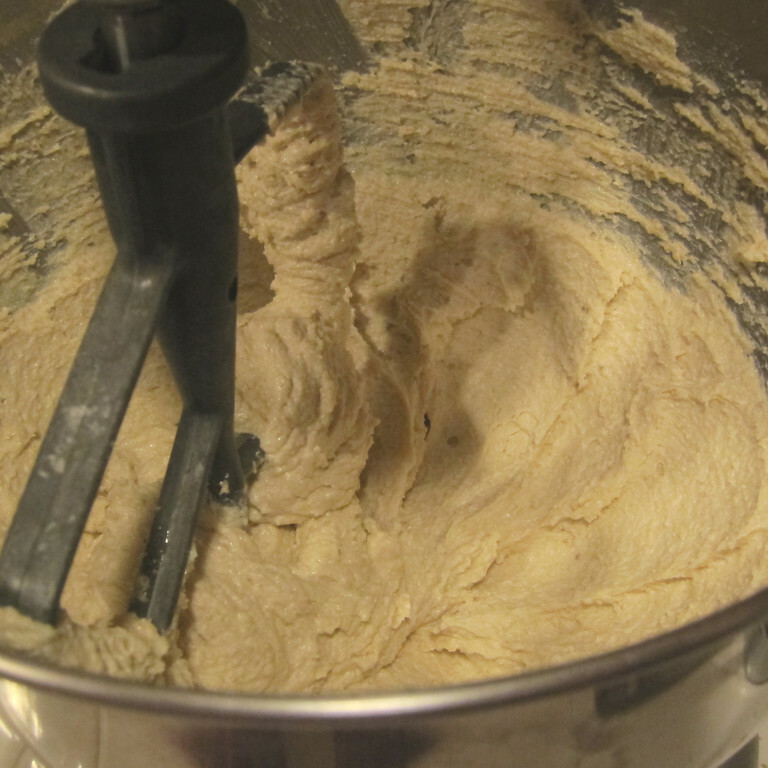 In a standing mixer fitted with a paddle attachment or using a hand mixer, cream butter and sugar until light and fluffy (about 3 minutes). Add-in the eggs one-at-a time, mix-in vanilla and lemon zest. With the mixer on low, add in flour mixture and mix until flour is just combined. 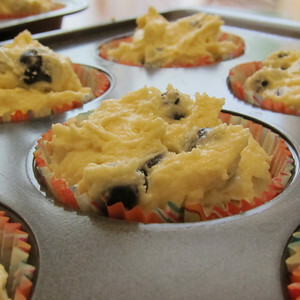 With a spatula, gently mix-in blueberries. Divide batter into pan. Bake until an inserted toothpick comes-out clean (about 30 minutes). I think I need to get a cat so I can name recipes (and fruit) after her. So sweet. Previous Previous post: Name that bar and win a prize! Next Next post: Vive l’bleuets!